I retired in June 2015 after almost 40 years as a teacher and school counselor. I was terrified to retire because I tend to get depressed when I don't have a reason to get up in the morning. But, I was so burned out and my health was failing to the point that I had used up all my sick days and then some. The first year I retired, I ended up falling and breaking my arm, so I spent that year working on rehabilitating. That filled my days and gave me a daily schedule of things to do. The next year I took a part time counseling job at a charter school and one of my students was murdered and several other students were severely mentally ill. I just didn't want that much drama in my life any more, so I did not return to that job this year. So, now, here I am two and a half years later and I am bored out of my mind. I am very physically active---I work out almost every day, take dance lessons of different kinds, etc. But I just feel so blah. I have always had a huge need for solitude, which I don't get much of anymore because my husband just retired also. We get along wonderfully, but I'm not accustomed to having him around 24/7 and sometimes I just want to leave and be by myself somewhere else. I am childless by choice, so no grandchildren or anything like that. I really miss my students---talking to them and guiding them----but I don't miss hearing the sad, miserable stories that burned me out when I was a full time counselor. I'm active in a church, but even those activities don't appeal to me much anymore. I've been testing out getting involved in politics---there are several issues I feel very strongly about---but even that stresses me out. Sometimes I just sit and stare into space and don't really care about doing anything. I'm not a TV watcher---never have been. I tried taking up knitting and crocheting---UGH! BORING!!! I read, read, read all the time, but still life seems pretty empty. I guess I'll just keep on trying different activities until I figure out this retired life. Thanks for reading this far! I just retired after 34 years of teaching. I have a lot of hobbies and interests - but I too often feel a bit depressed and out of sorts. Many of us who are educators gave a lot of our energy to our students and in return we to were fueled by the success of our students. Life is not all about me as many will suggest in talking about retirement. I truly believe we were meant as a human beings to give first and then receive. I realize that there needs to be a balance - but when working 60 hours a week as a teacher I still had lots of energy for me and my family. Now with all this time just for me is a little too self serving especially when you look around at the pain and suffering of others in this world. Someone commented on a teachers pension being good LOL. 2300 a month after taxes and paying for my own health insurance. Gratitude is a wonderful healer. But I know and you too will find a way to balance the give and take in life. There ought to be a support group for retirees!!! 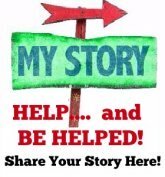 Your story could have been mine, except I do have grandchildren and my husband isn't retired. You do miss your job when you retire. I missed my students too...tried to go back part time...but in the end it was too stressful. So now what? I try to look at the positive. I made a list of the ways I contribute now. I consider those little things "my job". It helps to put them down on paper and see what all you do. I like to be on my own a lot too, and there are classes to take, shopping on my own, the library. Heck you can just go park somewhere and write in your journal, just to get away from it all. I'm not saying I don't have all the same feelings you have, but after 4 1/2 years I'm finally feeling better about being retired. Hang in there! I recently "retired" .... private elderly care nurse and also other jobs at the same time. busy busy gal all my life and now it's like lost in space. I feel many of those same emotions. It seems that I'm looking for an activity or project that is very meaningful yet all the ones I can think of take too much stress and time. But without something like that I feel so empty. Hi there Karen. I've been retired since the fall of 2013, and it has been a constant challenge. Your comments hit home with mega-force: just two days ago I sat down with my laptop and Googled "I am bored out of my fxxking mind," because I was. It seems to me that retirement is much more difficult for educated, high-performing individuals, and this fact is very seldom addressed either in this wonderful forum or in the generic media drivel about retirement. That Google search did provide me a very short-term solution to my ennui, and it was brilliant in its inanity: digitize your family's favorite recipes! Goofy maybe, but it stirred me to action, as our 35-year old daughter, who has a very brief attention span, always loses recipes my wife and I send her, even by taking an iPhone picture. So I found a recipe template on the internet and started a great project that we will turn into Christmas presents to both children: a flash-drive of Mom's Favorite Recipes! That diversion might last we a week or so, tops. Like you I am an avid reader and consider most TV programming moronic. And you can only read so much, but one particular very enjoyable book I found about two years ago led to a small but very important way to maintain sanity in retirement: an email pen-pal. I enjoyed the author's story so much (Little Big Life by Michele LaForrest Gray) that I emailed the author to tell her so. Long story bearable, somehow we hit it off (I also write a little) and have remained in electronic contact ever since. Believe me when I tell you it has helped me enormously. I also just purchased a Senior Pass to all the National parks, and as soon as we are able (my wife is the sole 24/7/365 caregiver for her 90-year old, Alzheimer's-ridden mother, whom we also live with) we plan to do some RV'ing to see the many parts of this magnificent country we have never been to. Like the 70's sitcom, I believe the best we can do is to approach retirement one day at a time, appreciating the grace of every additional moment we have. Please take good care. PS - I have also been a CPA since 1979, but that was what I did, not who I was. Unlike you, I was not afraid to retire. Commuting to NYC for twenty-five years had drained me and I was ready to go. But, I am experiencing the same challenges that you are. Sure, exercise, join the gym, take classes - all great, but really does not serve any kind of purpose nothing that you can sink your teeth into. Makes me feel like I am having a breakdown and those things are supposed to make me feel better, but don't. I try to not complain, because no one really wants to hear it and I don't have anyone to share my feelings with and am afraid I will be looked on as a cranky old person! I built a beautiful new house near my kids, new car, things okay, so what's wrong. Well, I started reading this book "Nomadland" about retirees in this country who are not so fortunate. They have either lost everything they had or never had anything and travel the country living in their vans working at all kinds of odd jobs. Very interesting read and really focuses on the social issues of the aging US population. One thing I got out of the book, was that out of their despair they have formed bonds and friendships that I don't have; they have a purpose - survival. The book describes how resourceful they are, their friendships and their trial and tribulations,. It makes me more thankful (which is something we all should be), but makes me envious in a way. They really live an adventure and really are not lonely - they have friends with a common interest.. Thinking of buying an RV! You are fortunate to have a spouse - try retiring alone! Perhaps you should take on a different perspective and rekindle your relationship. I wish I had someone to travel with and have adventures with. You really have a lot going for you. I feel your pain! I was laid off from two research and development companies for a total work time of 22 years. They were the best jobs of my life and I feel like I lost my identity. It has been since 2011 that I last worked and I don't feel 'retired' I feel like I still need to work. I am 64 now and have no children, grandchildren. Don't attend church or belong to any clubs or organizations. Yes, my fault but nothing interests me. Just asked my best friend this week what do retired people do? I know there are 'things to do' but have not found my calling. Maybe you could do tutoring for individual children in their homes. Or do some kind of consulting on home schooling. It takes time to get your career out of your system and some of us never get over it. I have dreams probably 5 times a week about my previous R&D jobs. I am always working it seems in my sleep! Honestly, I read your post and thought - really! Not to be mean, but watch TV, do hobbies, or better yet, travel. Since you are a retired teacher I know you have a decent pension. I retired 3 1/2 years ago, lost my 38 year old son from cancer the first year retired, LIFE CHANGING to my retirement plan. Your story is rediculous and self serving. I need solace at times, to just cry or whatever, I go away for a day or week. AND I do not have the retirement you do. Sorry, no sympathy for your "sad" story.